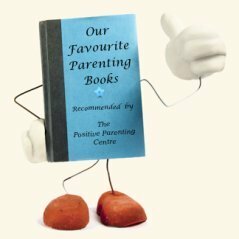 When you're developing a "Positive Parenting Style," you need to define principles that will guide your parenting decisions based on your own personal beliefs and value system. These guiding principles should encompass your personal core values as well as family core values. They should also reflect your cultural and religious beliefs. 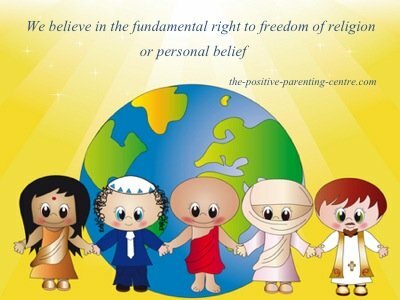 It is important to note, our website respects your right to believe in any religious doctrine you choose. It is not our intention to promote our personal values or religious beliefs. Your religious beliefs are personal to you and need to be considered in defining your guiding principles and value system. The ideas presented here are based on virtues that transcend most cultures and are universally valued by all spiritual and religious beliefs. They merely serve as guidelines and food for thought to help define principles important to you, clarify personal core values and define your own family values. What are your values?… and… What's really important to you? Would you be able to answer that… on the spot? Many people can't instantly answer those questions. Not to say they don't have any values, perhaps they're just caught off guard or aren't consciously living them at the particular moment. 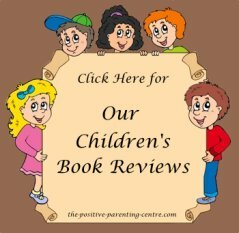 To practice "Positive Parenting," model good character and guide your children in making proper choices in life, you must be able to answer those questions. You must be conscious of your principles and values at all times. Thus… in order to define values of importance to you, it helps to understand the difference between principles, values and virtues. At times, this may seem a little confusing as many people consider values and virtues to be one and the same. How Do We Define Principles? To define principles in the personal context, we perceive them to be rules or beliefs governing morally correct behaviour and attitudes. More specifically, your personal convictions and commitments to what is true to your heart, the personal code of ethics in which you put your faith in. Guiding principles root from the virtues you value most and will not abandon or compromise under any condition. "The Golden Rule"; Do unto others as you would have them do unto you. This is by far one of the most important principles you can promote in your children. If you abandon this principle, then you disregard the virtues of Justice, Respect, Fairness and many others such as Caring, Consideration, Kindness, Courtesy and Thoughtfulness. If you were to violate this principle you would disregard the many virtues such as Honesty, Trustworthiness, Consideration, Justice, Self-discipline, Respect and Integrity. Consequently, your principles stem from your core values. In order to define your personal core values and family values you need to clarify which "Virtues" shape those values. What is the difference between Values and Virtues? 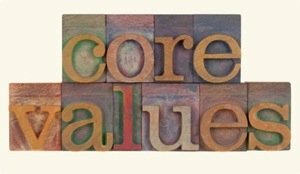 The definition of values can be categorized into either "Personal Preference Values" or "Principle Values." "Values that are "Preferences" are personal choices that are subjective and changeable at any time." An example may be your value for material things as your house or car or perhaps your special value put on a good education. You will more than likely adjust these personal preference values as your life circumstances change. "On the other hand values that are "Principles," like honesty and compassion and fairness, are consistent, transcultural and objective." When we define virtue, we deem it as objective, an actual quality considered morally good or desirable in a person. Virtues are the foundation to your core value system, the very essence that make up good character. In addition to the above mentioned virtues, Patience, Consideration, Trustworthiness and Forgiveness are just a few more examples. To help you define principles and core values important to you, we have provided a list of virtues and their meanings. Click here for our "List of Virtues"
Return To: "Home Page"..from: "Define_Principles"